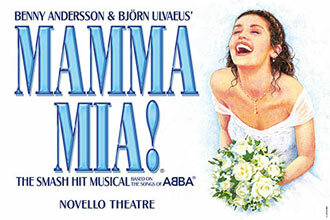 Mamma Mia - A young bride on the eve of her wedding is determined to discover the identity of her father by inviting three of her mother’s past suitors to the wedding. 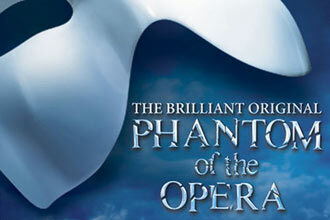 The Phantom Of The Opera - The disfigured Phantom, who feels deeply ashamed of his appearance, falls in love with his protégé. He will do whatever it takes, including murder, to keep her on the stage. School of Rock - Posing as a substitute music teacher at an elite private elementary school, he exposes his students to the hard rock gods he idolizes and emulates -- much to the consternation of the uptight principal. Come from Away - This joyous new musical shares the incredible real-life story of the 7,000 air passengers from all over the world who were grounded in Canada during the wake of 9/11, and the small Newfoundland community that invited these ‘come from aways’ into their lives. Waitress - Waitress tells the story of Jenna Hunterson, a waitress who is in an unhappy marriage to her husband Earl. When she unexpectedly discovers she is pregnant, she starts an affair with her gynaecologist and begins to look for ways out of her abusive relationship, embracing her unique pie-making skills as a chance for a new life. Aladdin - Set in the fictional Arabian town of Agrabah, orphan 'street rat' Aladdin spends his days foraging for food and trying to stay one jump ahead of the palace guards. High up in the palace, Princess Jasmine feels trapped by the Sultan’s insistence that she find a suitable husband, resentful of the notion that she must marry for status rather than for love. A chance meeting between the Princess and the street rat instantly sparks a connection, though the path to a perfect ending does not run smoothly. Unfortunately, family and friends can't enter the theatre with you unless they purchase a voucher. Minimum age varies by show, under 16's must be accompanied by an adult, under 5's are not permitted.